Sorry, no matches on eBay for "Journey (Feat. Bilal) Terence Blanchard". Sorry, no matches on iTunes for "Journey (Feat. 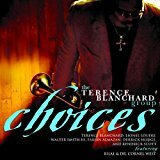 Bilal) Terence Blanchard".